All around the world, winters are known to be the official holiday season. And pinning down a beautiful destination can also prove to be a task. Travelers are scouting for new destinations, each type looking for cultural diversity, some want an extraordinary Christmas celebration and a grand feat, and these are the foodies, whereas some look for an out-of-the-city destination. The report lists a few destinations around the world that have topped the list of places-to-visit for the winter vacations or the Christmas break. 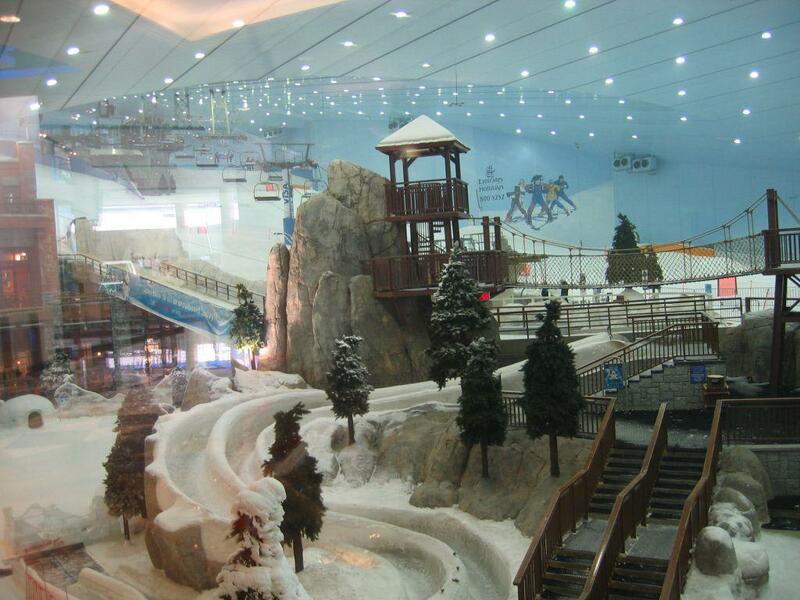 The idea of indoor skiing was taken to another level by the introduction of Ski Dubai by the United Arab Emirates. Highly pressurized water is shot into the area to make the temperatures below zero. People who have been to Iditarod, Alaska, United States of America suggest that Alaska can rightly be called the wonderland of winter. The sledge dog race is noted as one of the most highlighted event of Alaska. It allures one with its charismatic wilderness. The Scandinavia or Norway’s Fjord Touring is also a hot destination as far as winter vacations are considered. Steep cliffs on both the sides and nothing but glaciers look around is the beauty of Fjord Touring’s beauty. Apart from that Snowmobile safari and jetty tours are also widely carried out at tourist’s requests. Hiking through the Rain Forest, New Zealand. New Zealand has always been on top of the visiting list of many people around the world. Visiting New Zealand during the month of November or December proves to be the best because one might then come across a frozen waterfall. Ice tunnels are present to add to the charm. Rain forest, New Zealand is a place for adventure mongers and hikers. Harbin Ice Festival of China, present on the border of China and Russia have a festival that extends up to a month long period. This is a festival held in the month of January wherein a massive showcase of ice sculptures, buildings and monuments is made. The Harbin Ice Festival of China is the largest ice festival all around the world. When talking about winter destinations we cannot afford to miss out Iceland. Hence Blue Lagoon, Reykjavik, Iceland is the next destination in our list. The mesmerizing snowcapped lava rocks and the geothermal baths are huge attractions of this place. Experiencing low temperatures, the Northern lights seen during the winter period also make it a hot spot for various tourists. Lake Baikal, Siberia, Russia is another place which cannot be missed while making a list of places to visit in the Winter break. Lake Baikal, infamously known as the sacred sea experiences temperatures as low as minus forty degree Fahrenheit. One of the oldest and deepest freshwater lakesto be present around the world. Adventure activities like ice diving, ice skating, rafting, snowmobiling are in, practice in, the areas that are viable of the respective activities. These destinations were a few examples of the places that can be visited by the people during winter breaks and have a vacation to be remembered !! !